If you’re looking to gain hands-on experience in a state-of-the-art industrial production, Greenpac may be the perfect fit for you. At Greenpac, we believe in a high-performance team. In short, we believe in empowering people to learn their roles and be active leaders in their day-to-day. 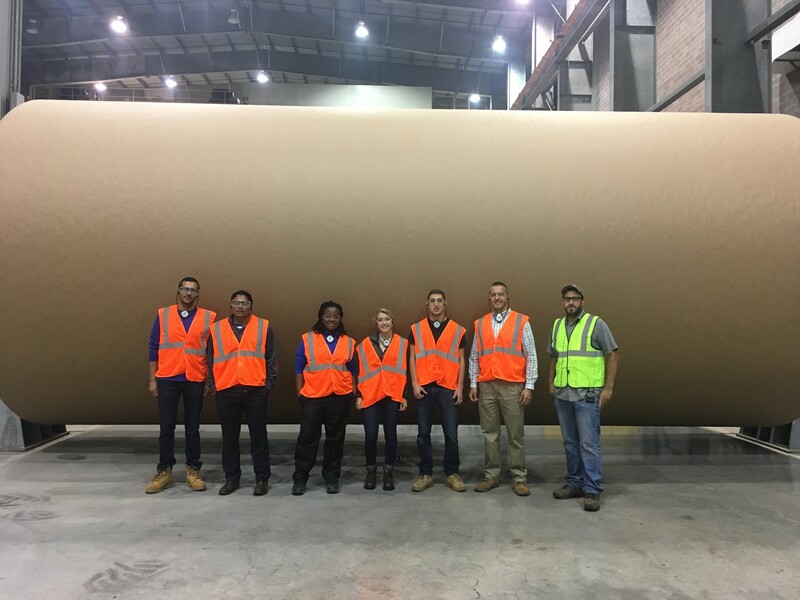 Greenpac Mill is a dynamic environment where we leverage the knowledge, experience and unique ideas of our employees every day. Every year since its startup, Greenpac has enjoyed providing a wide variety of internships to students around Western New York. We offer opportunities in every facet of our business, the most popular being: Engineering (Mechanical and Electrical), Accounting, Purchasing, Human Resources, and Logistics. We’re passionate about developing talent in the Western New York area. If you are a student in one of the above disciplines, reach out today to our HR Team to discuss the opportunities available. Similar to an internship, a co-op is a slightly more rigorous period of time spent with a student who is working on a degree requirement. A co-op provides college students in specific programs with hands-on experience in a real-world working environment necessary to graduate the degree program. If you are a student in such a program, Greenpac will offer a competitive wage and industry project to jump-start your career. For more information, reach out to our HR team. Greenpac Mill is incredibly unique in many ways, but one example that we are very proud of and have kept since our inception was hiring people for their minds and teamwork aptitude, and training them to be papermakers in our mill. You don’t need to have any experience to be a Production Tech: just a can-do attitude and the sincere desire to work together with an excellent team. If this is you, apply to our Production Technician Application. Being a new and highly automated facility, we need maintenance folks with a strong technical aptitude. Prior experience with automation, particularly Siemens 7 is a plus for our electrical & automation team. We hire mechanics and electricians at competitive market rates, and provide them with additional state-of-the-art industrial maintenance training. Please send your resume to Human Resources for consideration. For more information or questions about the hiring process and our positions, please contact Human Resources.